What’s the problem with the Tory-DUP Agreement? 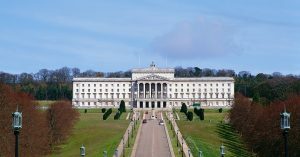 Following our previous post on the Tory-DUP ‘Confidence and Supply’ trick, Jenny Muir looks in greater detail at what the deal means for Northern Ireland. What does the deal mean for Stormont? Anyone who was taken by surprise at the negotiating skills of the DUP probably doesn’t live in Northern Ireland or take a great deal of interest in recent history here – which includes the Good Friday (or Belfast) Agreement, the St Andrews Agreement, the Hillsborough Agreement, the Stormont House and Fresh Start Agreements…. you get the picture. It’s worth reading the short Confidence and Supply Agreement in full, including the annex which sets out the financial support in more detail. The DUP has looked after their key constituents absolutely brilliantly: pensioners through retention of the ‘triple lock’ and the Winter Fuel Payment; the armed forces; support for the Reserve Forces in Northern Ireland; and retention of funds for farm support for the lifetime of this Parliament. All except the Reserve Forces commitment apply across the UK. But the details of the agreed financial support reveal a far wider remit. £400m for infrastructure development; £150m for ultra-fast broadband; £100m for severely deprived areas; £100m for ‘immediate pressures’ in health and education; £200m for health service restructuring; £50m for mental health. A cool £1bn, mainly in the next two years although two of the smaller amounts (regeneration and mental health) are to be drawn down over five years. Money previously allocated to spend on shared education and housing is also to be used within this period. The non-financial commitments include activation of the previous commitment to devolution of Corporation Tax and Air Passenger Duty (APD); the introduction of City Deals and more Enterprise Zones. So the DUP have shaken the magic money tree, I suspect without caring what the rest of the UK thinks. And that, as Maurice and Stephen have said, could cause issues in the longer term. But what’s the immediate problem for progressives? We can’t and shouldn’t oppose the extra resources, although we might oppose the pro-corporate, anti-environment and anti-integration approach demonstrated by the emphasis on attracting investment, the military spending, potentially lower corporation tax and less APD. We may think other items should have been included, such as further mitigation of welfare ‘reform’, and we may very possibly think the reversal of austerity requires a great deal more than a £1bn bribe. But I suspect none of these arguments will have much traction with the wider public. However, the ideology of the Agreement does not bode well for the future of Northern Ireland. Much has been made over the water of the DUP’s social conservatism, which of course is shared by other parties here. There is nothing in the Agreement seeking to restrict abortion rights or equal marriage in GB, and it would have been ridiculous to expect this. The more important question about the Agreement is whether it ditches the ability of the ruling party in Westminster to play their part in restoring devolved government in Northern Ireland through maintaining the impartiality pledged in the Good Friday Agreement. The Prime Minister, on behalf of the British Government, reaffirms that they will uphold the democratic wish of the greater number of the people of Northern Ireland on the issue of whether they prefer to support the Union or a sovereign united Ireland. On this basis, he reiterates, on the behalf of the British Government, that they have no selfish strategic or economic interest in Northern Ireland. Their primary interest is to see peace, stability and reconciliation established by agreement among all the people who inhabit the island, and they will work together with the Irish Government to achieve such an agreement, which will embrace the totality of relationships. As set out in its General Election manifesto the Conservative Party will never be neutral in expressing its support for the Union. As the UK government we believe that Northern Ireland’s future is best served within a stronger United Kingdom. We will always uphold the consent principle and the democratic wishes of the people of Northern Ireland. The Conservative Party will never countenance any constitutional arrangements that are incompatible with the consent principle…. The UK government will continue to support close co-operation with the Irish government, and work with them in accordance with the Belfast Agreement and subsequent agreements, while recognising that ultimate responsibility for political stability in Northern Ireland rests with the UK government. It’s not surprising that John Major (now Sir John) expressed his concern about a DUP deal. Although the Agreement does include a continuing commitment to the consent principle, it makes clear that a Conservative government (as distinct from the Conservative Party) would not take a neutral position should that principle be exercised through a border poll. But there are also smaller triggers running through the documents. Reference exclusively to the ‘Belfast Agreement’ without the counterbalancing ‘Good Friday Agreement’ is one. Also, the DUP’s commitment to support the Tories on matters of national security and to maintain defence expenditure, along with support of NI’s reserve forces, is not compatible with the essential demilitarisation of NI society. And, on the final page of the annex, the legacy bodies are to be established so as to operate in ways that are fair, balanced and proportionate and which do not unfairly focus on former members of the armed forces or police. I have mixed feelings about the ‘honest broker’ neutrality argument, not least because it’s been used by the Labour Party for years as the reason why they don’t stand for election in NI. It ought to be possible for a British political party to stand in NI – as, indeed, the Tories do – and to take a position on the union. However, once a party goes into government the situation changes, especially when negotiations are taking place to re-establish a broken regional administration. It’s not enough to remove the Secretary of State for NI’s involvement in the implementation of the Tory-DUP Agreement, in order to preserve a semblance of neutrality, if unionist language permeates the Agreement itself. In Northern Ireland politics, perception is all. It gives Sinn Féin another excuse to reject a settlement, at a time when the word on the street is that they don’t want one anyway. And the extra £1bn isn’t even dependent on the restoration of the Assembly, a fairly obvious carrot and stick approach which would have put Sinn Féin in a very difficult position. The Tory-DUP Agreement is economically welcome but ideologically poisonous. It looks as if the Northern Ireland Assembly will be collateral damage in this shabby attempt to keep Theresa May in power. At the same time, the Tories are addressing some concerns of British MPs about working with the DUP. Northern Ireland women will no longer have to pay for abortions in England (followed by Scotland and Wales). And there is also a new commitment to legislation for declaration of political donations in NI, although only from 1 July 2017, so sweeping the DUP’s Brexit ‘dark money’ under the carpet for ever. We can only speculate about how the new relationship will play out, but it’s possible the DUP may find that never again will they have as much influence as they do now. In the longer run they may pay very dearly for that £1bn.